Yukon River photos and information about the longest river in Alaska. The Yukon River is a major watercourse in Canada and Alaska. Over half of the river lies in Alaska, with most of the other portion in Canada’s Yukon Territory, and its headwaters in British Columbia. The river is 3,700 km (2,300 mi) long and empties into the Bering Sea at the Yukon-Kuskokwim Delta. By comparison, the total area is more than 25% larger than Texas or Alberta. 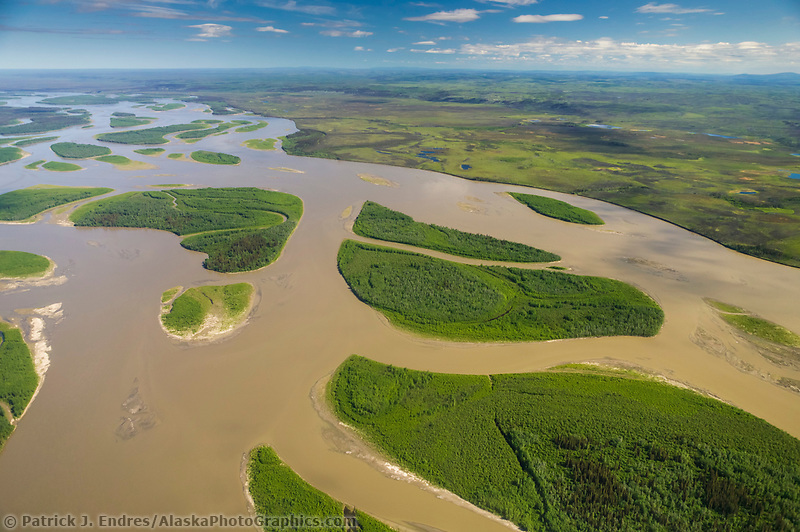 Many of Alaska’s larger Interior rivers like the Tanana and Nenana rivers eventually flow into the Yukon. 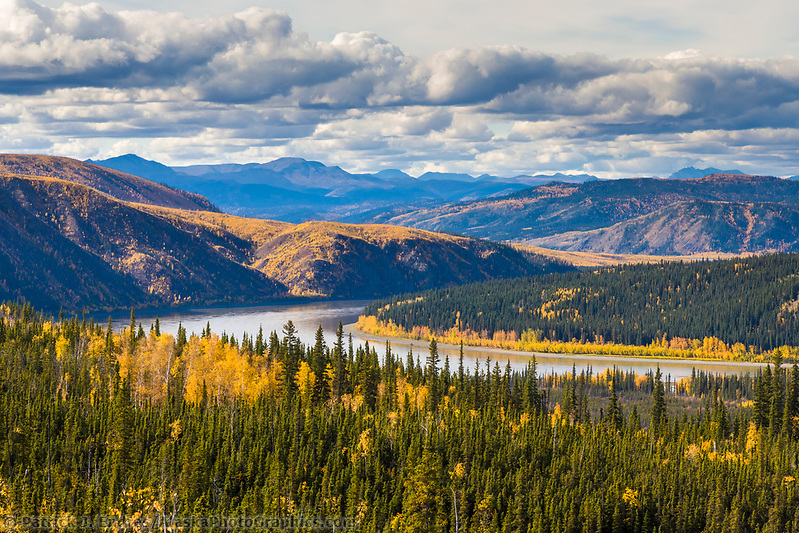 All of the Yukon River photos on this site may be licensed as stock photos for commercial use or purchased as fine art prints for your home or office. 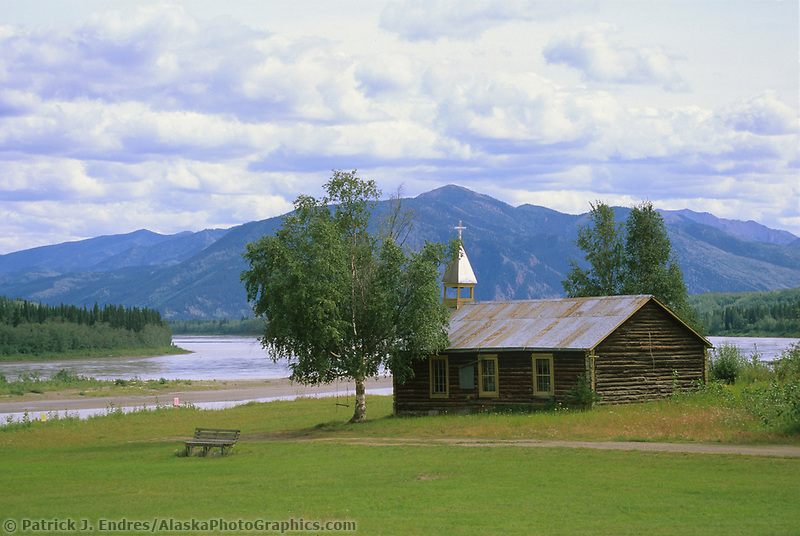 Several villages are located along the Yukon River in Alaska. Eagle is one that is also accessible via roadway. Both in summer and winter, the river serves as a major transportation route for the villages, and Alaska’s early history is intricately tied to the river system, the Yukon in particular. 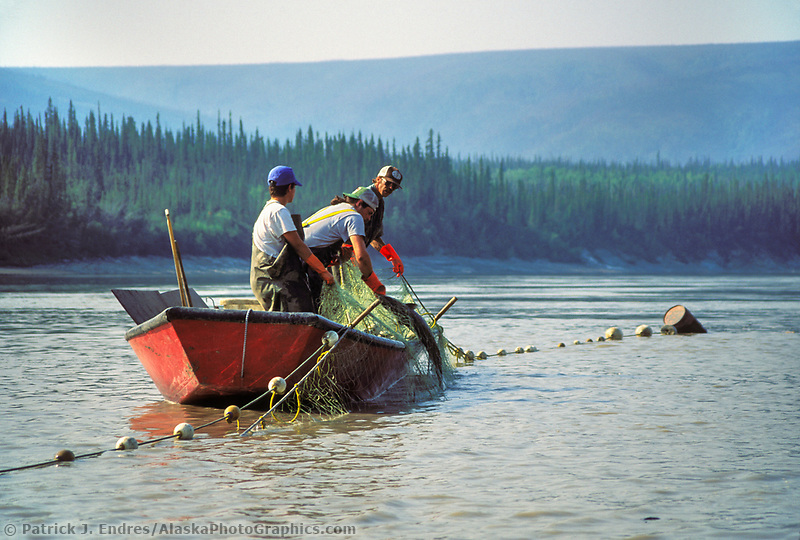 Subsistence fishing on the Yukon River is available to all Alaskans who meet certain qualifications and yields Chinook salmon, also known as king salmon. The 1000 mile Yukon Quest dog sled race runs between Fairbanks, Alaska, and Whitehorse, Yukon Territory, Canada. 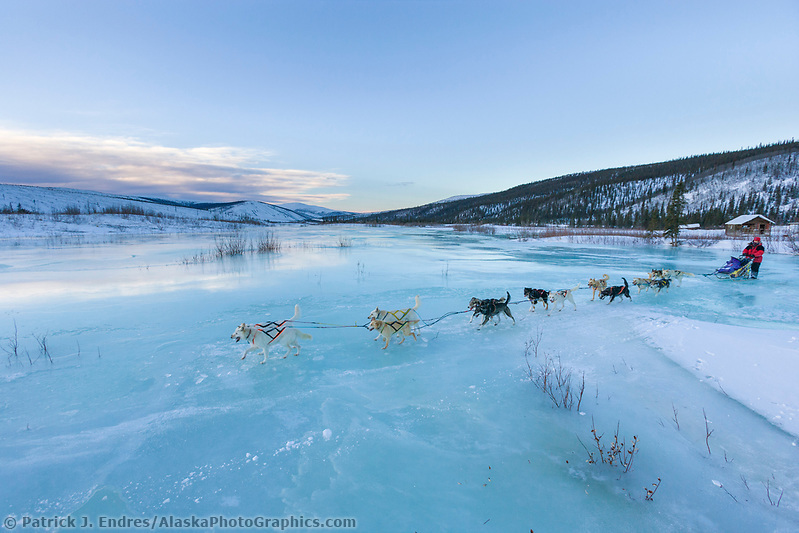 The race derives its name from the Yukon River and is considered to be one of the most extreme dog mushing races. 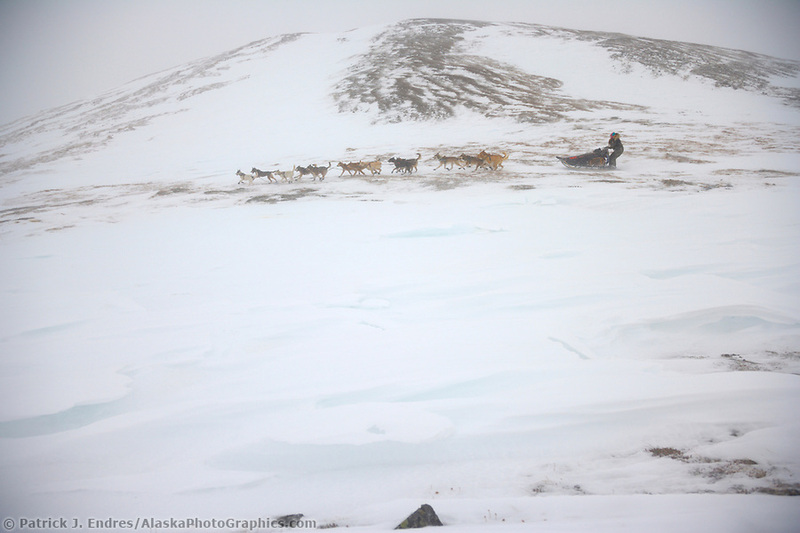 It follows the river for much of the race, passing through rugged mountain passes as both mushers and dogs endure bitterly cold temperatures.